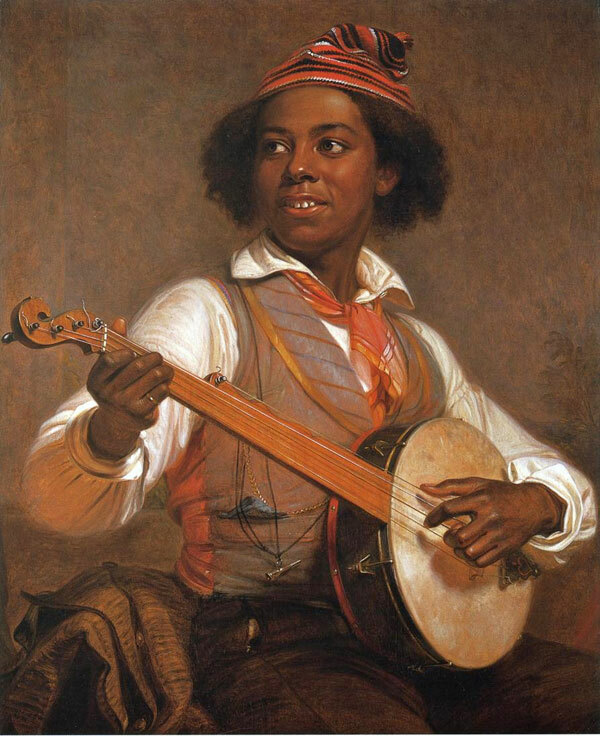 From it's African American slave roots, the banjo became a centerpiece of the black-face minstrel show. In the early 19th century, white musicians and dancers "blacked up" their faces with burnt cork, wore exaggerated clothing, and used race (and racism) as a foundation for America's first pop music craze. The performances were sentimental, comical, romantic, and political. By the 1830s and 40s, the banjo was synonymous with that craze. Musicians played the instrument on stage. Sheet music covers provided the musical notation for those numbers and featured images of the banjo. Instruction books were published for everyone to learn to play with or without a formal teacher. And audience members wanted banjos. William E. Boucher, Jr. capitalized on that craze in Baltimore, Maryland. As the northernmost point of the southern economy and the south’s most industrialized city, Baltimore’s music marketplace became the hub of the banjo’s early mass production. Boucher was the first commercial manufacturer of banjos. Located blocks from the theaters where audience members could see the banjo on stage, Boucher fashioned banjos with simple wooden rims and an iconic s-shaped peghead. The wooden rims were easier than gourds to mass produce and the necks were only veneered with good wood, making them cheaper to produce. Boucher was a man of industry, and other banjo makers began copying his style and making it their own. In the late 19th century, the banjo moved from stage to parlor. Women and men began playing fancy, heavily-inlaid banjos with metal rims. Although this era played in a "Classic" style with finger picking, this style of instrument has become the open-back banjo used today by Old-Time musicians. Pete Ross uses the classic-era banjo as aesthetic inspiration for his open-back banjos, instruments set up for use in the modern old time music setting.